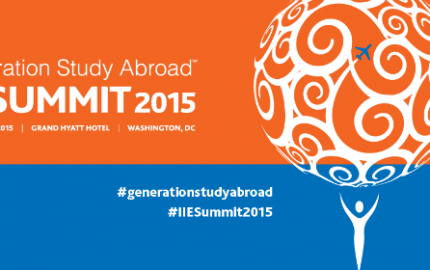 APU Students Challenge Themselves in Vietnam! 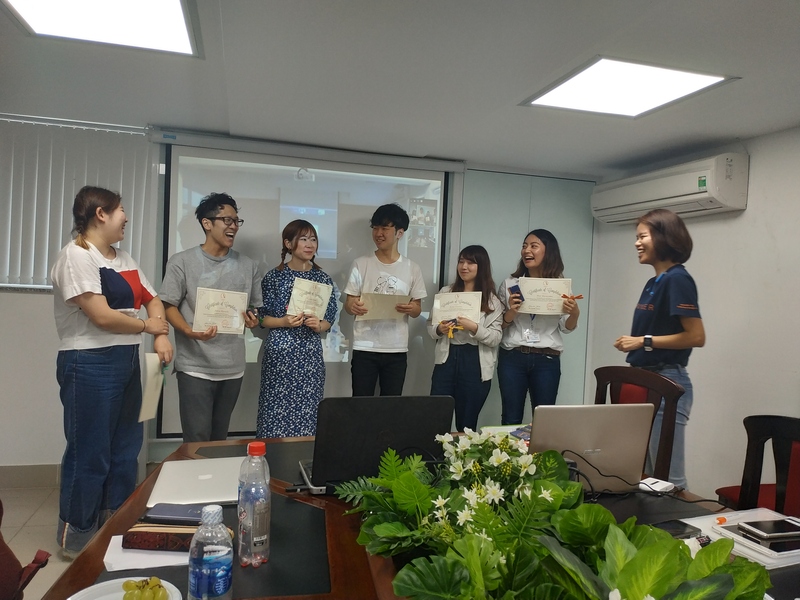 On the last day of Student Exchange Nippon Discovery (SEND) program, Ritsumeikan Asia Pacific University (APU) students had a final presentation sharing about their experiences of one-month internship Vietnam. One thing in common among these 18 Japanese students is their expectations of their self-transformation within this period in Vietnam. Another similarity is that they all nailed it! To Moe Maruyama, SEND is not only an experiential learning opportunity but also a chance for her to achieve her goals. 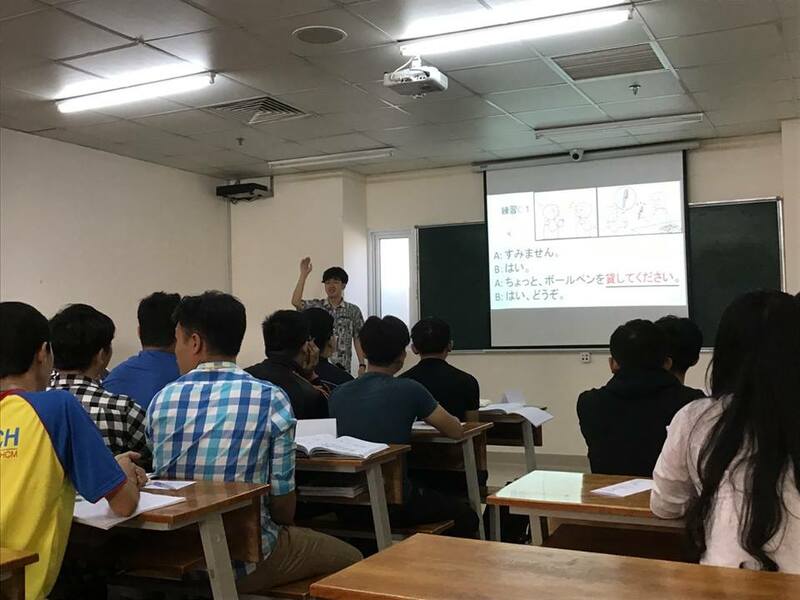 She expected that during SEND she would overcome her weaknesses, broaden her knowledge of Vietnam, and improve Vietnamese students’ Japanese level. Before coming to Vietnam, Moe wasn’t clear about her future plan and was not a a very strong-willed person. During SEND, her Vietnamese host father – a very successful businessman – had deep conversations with her about life navigation. He also advised her to make a list of her strengths and her favourite things. Afterwards, thanks to that list, Moe could identify clearly her future strategies and one of her wishes was to work in Vietnam! Jo Suzuki described himself as a “nervous and conservative” person. He was afraid of being involved in things without knowing many details. That’s why he decided to minimize that weakness by trying to “do everything” in Vietnam – a totally strange country. 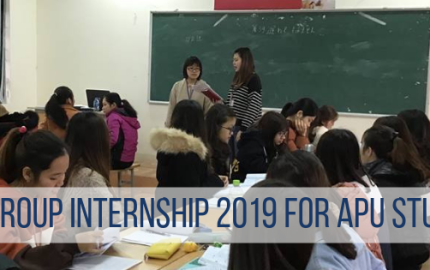 Jo was ready to throw himself into difficult teaching hours and exciting exchange meetings with Vietnamese students instead of being shy and hesitant. Those efforts paid off as Jo is now more confident and brave to take risk. Go Jo, if you can survive in Vietnam, there is nothing else you can’t do! Only after witnessing environmental problems during his internship in Vietnam did Junya Hayashi decide to deepen his knowledge in environment field. As an enthusiast in environmental protection, Junya was really concerned that the air contamination in Ho Chi Minh City was so terrible that everyone had to wear mask and protective clothes. These issues in Vietnam foster him to learn more about environment to figure out the solutions. Moreover, Vietnam also gave Junya a chance to train his challenge spirit. He tested his bravery by trying eating bizarre Vietnamese food such as: unhatched baby duck eggs! 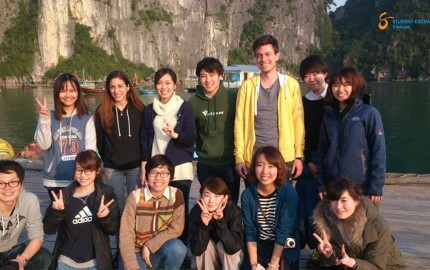 To Chie Matsubara, the most amazing lesson in this internship in Vietnam must be teamwork skills. 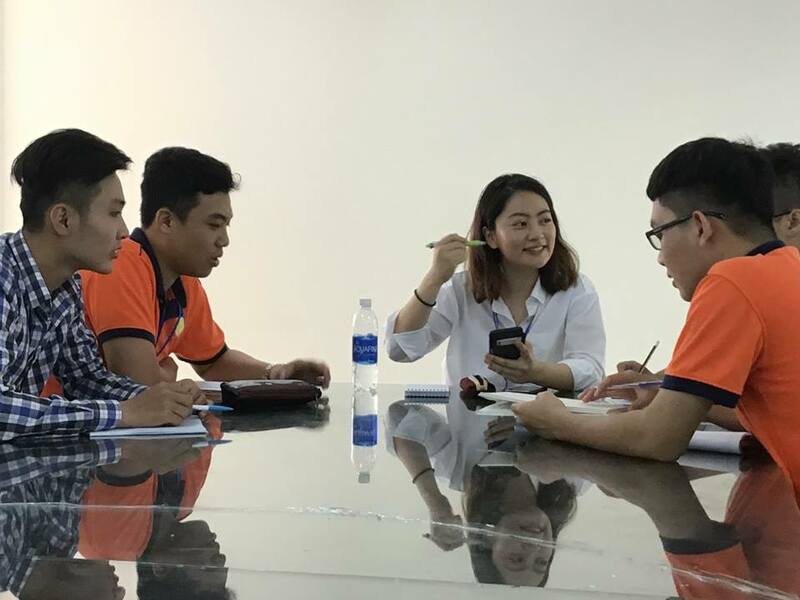 During her internship in Vietnam, she felt very lucky to have an ideal team. They were willing to share feedback and divide equal tasks with each other. 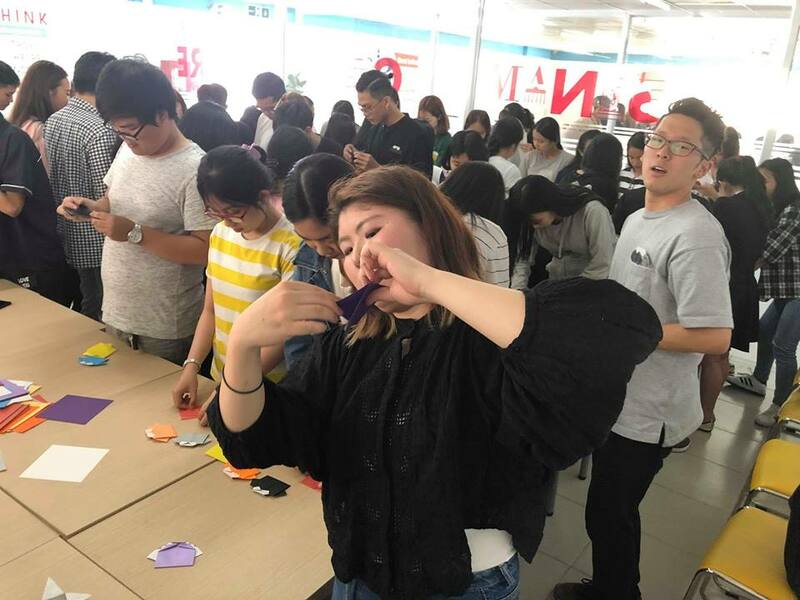 This great teamwork spirit led to their success in organizing calligraphy workshops. At first, Chie’s team just expected about 25 participants but finally the event turned out to have over 50 participants. This unexpected crowd didn’t prevent them from cooperating well and rock the event. Another rewarding lesson Chie got in Vietnam is how to cross language barriers. While living with her host family, Chie and her host father usually sat in the living room. As her host father could not speak either English or Japanese, she came up with a creative means of communication: drawings. Their conversations were non-verbal as they expressed their thoughts by drawing pictures. Those are just 4 small stories of Japanese students in Vietnam but it definitely shows clearly how they have transformed themselves during one-month internship. These Japanese students are like growing trees who just need special nutrition in a short period to make breakthroughs in the rest of their lives. ABROADER is so grateful to all your efforts and wish you all the best in the future!